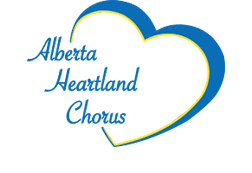 Cathey joined Alberta Heartland Chorus in November 2008. She became Finance Coordinator in May of 2010 and kept that position for eight years. Rather than leave the team, she simply took on another role. Cathey is retired but keeps busy on her farm, over an hour's drive from rehearsal. She rarely misses a rehearsal, performance or meeting despite the distances. She loves singing with the chorus and feels it's a bonus to be surrounded by such wonderful, caring women who support each other every week. Cathey's other passion is hockey and in her own words "GO OILERS!!!"